The Certified Management Accountant – CMA is a U.S.-based, globally recognized certification. For more than 40 years, the Certified Management Accountant certification has been the global benchmark for management accountants and financial professionals. Get hands-on experience on critical accounting and financial management topics as demanded by today’s dynamic businesses. Gain experience and skill and create significant career opportunities for you. Why to become a CMA® qualified professional? Learn how to explain the “why” behind numbers, not just the “what”. The Certified Management Accountant qualification demonstrates your mastery on Management Accounting knowledge and skills. It assures employers of your profound competency to improve organizational performance. Today CMAs have become an integral part of diverse job functions in a business. From financial statement analysis and risk management to product pricing and investment appraisal, CMAs insight is extremely valuable for a business. Accountants who want to move from bookkeeping to the more exciting and financially rewarding Financial Planning and Analysis role. Based on IMA’s 2018 US Salary Survey, CMAs earn 47% more in the U.S. than professionals in the same position without the CMA certification. For more than 45 years, the CMA® (Certified Management Accountant) certification has been the global benchmark for management accountants and financial professionals. It is worth considering to invest in this qualification that opens new doors, builds your confidence in management accounting and closes your skills gap. The CMA certificate is divided into two examination parts. Passing these exams is the most important step toward holding the CMA certificate. 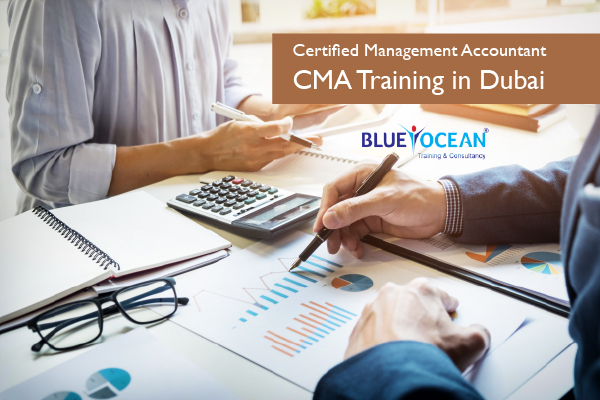 What is the CMA certification?